If you can’t remember where you left your keys, your car isn’t going to take you anywhere. That tiny key is the difference between your car being beautiful, or beautiful and useful. In the same way, an entire ad campaign might attract lots of attention, but if the message isn’t memorable, it won’t drive your customers to your brand and products. Every path to purchase is based on memory. If sales were made at the moment a customer saw your ad, recall wouldn’t be so critical. But when your customer is at a crossroads later, only one path will lead to you. If they can’t remember what sets you apart from your competition, the purchase is left to chance. That’s a chance you no longer have to take. Our job is to make sure that your message is memorable. Don’t wait for a low recall score to spur you into action. Memory is much more involved than sticking your logo onto the end of a creative ad. 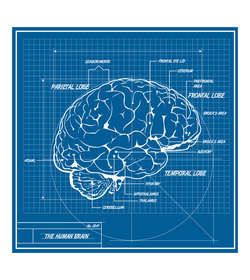 Our experts have spent years researching memory and the brain, in theory and in practice, so you don’t have to. Memory Layer works with your team to ensure that memorability, like creativity, serves as a key to a successful campaign. Evaluate your existing portfolio of advertisements and score their memorability according to our Memory WHEEL™ — a proprietary set of quantitative analytics which identifies key positive and negative factors affecting memorability. 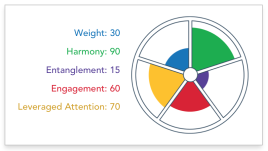 Compare how your Memory WHEEL scores rank against your competitors and the industry as a whole. We highlight the strengths and weaknesses of your campaigns. Enhance your next campaign with increased memorability. Rather than waiting for your ads to be completed, we provide guidance throughout the creative process — as early as the drafting of the brief or the creation of storyboards. We offer specific examples of how elements of the ad can be improved while staying true to the creative vision. We can also conduct an introductory 90 minute interactive workshop at your company that demonstrates how our techniques can improve memory and how we can help. To find out how Memory Layer can help you infuse your brand with memorable energy and vitality, contact info@memorylayer.com.